With a quirky sloped shape inspired by the cutting edge of bamboo, this innovative Gingko Edge Light Alarm Clock in Green will be a stylish desk or mantel clock and an especially convenient two in one alarm clock and dimmable ambient bedside light. The alarm clock light can be shaken to snooze and with flip alarm technology, simply press any of the buttons or flip the clock over to stop the alarm. 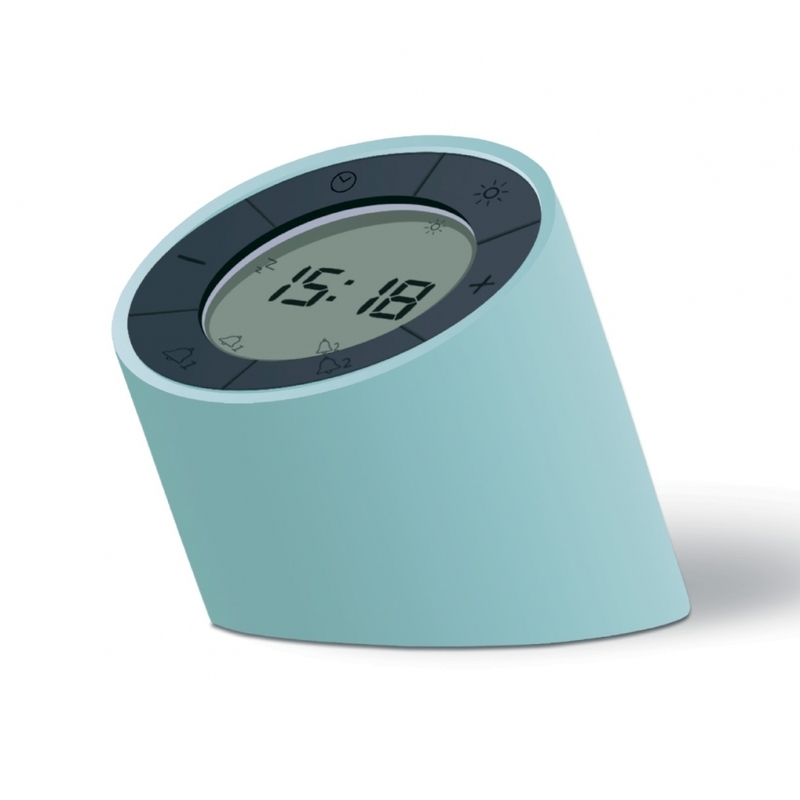 An edgy design and playful addition to many modern homes, the green Gingko Edge light alarm clock would be a thoughtful gift idea for many occasions.